When planning a large scale business event, properly advertising the time, date, and venue type will allow you to easily distribute the scheduled conference. 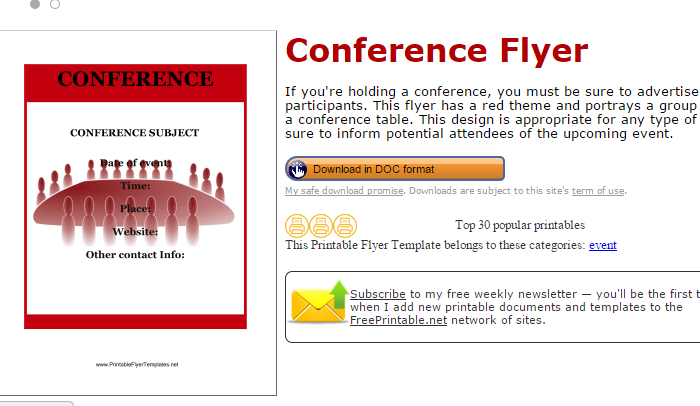 To ease in your planning process, the following conference flyer templates will help to quicken your process. 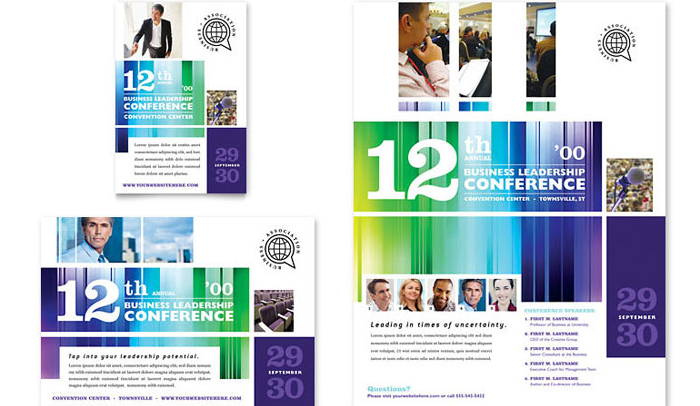 These readymade design templates are perfect for modifying and editing a conference layout that will match your needs. Available in multiple sizes from full page size, a half page, and a quarter pages, you can easily download and purchase the whole package. Templates are available to edit and download with InDesign, Publisher, Word, and CorelDraw. Additional coordinate design templates are available. This free download for Microsoft Office is compatible with Word version 2007 and above. Easily edit with the basic contact information, date, and location for your attendees. 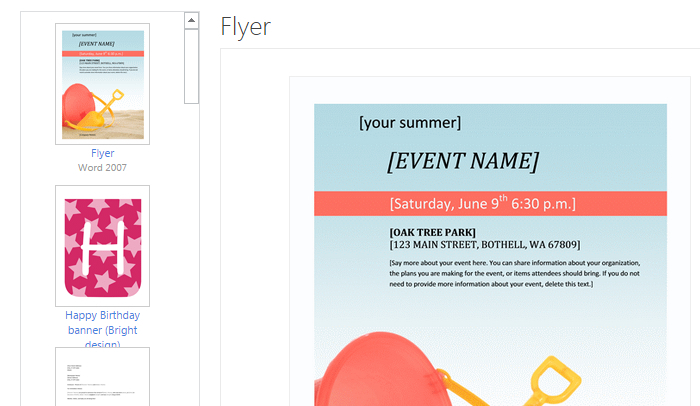 Microsoft’s website has an additional variety of template designs you can use to meet a variety of event types and themes. This site template is available for both Microsoft Word and Publisher with additional coordinated design sets. 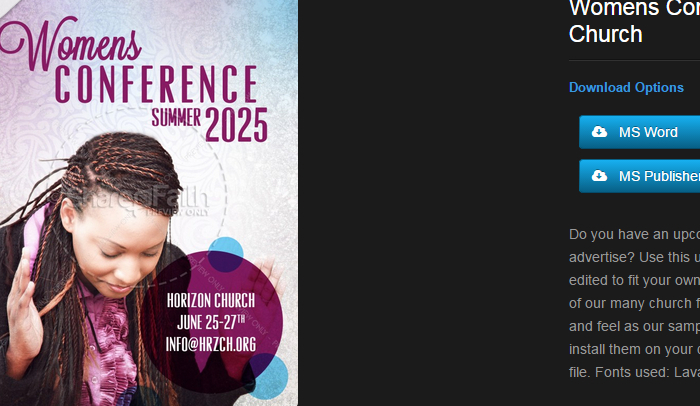 All artwork and graphic files are completely customizable, high quality, and original backgrounds. The template layouts are easy to use and downloadable to edit as needed. These professional and affordable templates are suitable for those looking for more experienced and available features to modify their file. This template is available in six different sizes, seven different colors and more made to be edited in Adobe Illustrator CS5. 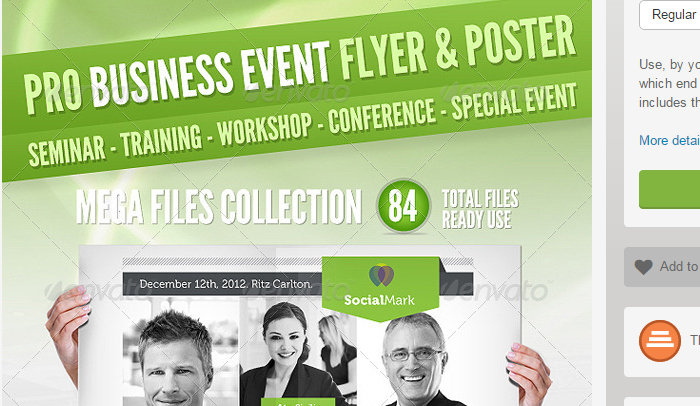 Dozens more of privately offered templates are available on this marketplace for purchase. This website offers an easy to modify, simplistic template design for beginners that can be accessed with Microsoft Word. Download in a .doc format and include the conference subject, date, time, place, and additional contact information for your business event.